The last month was more pragmatic and structural. It was about doing certain things that are healthy and positive for all of our being. This month is about filtering out debris we hold within ourselves and learning how to be comfortable with not being comfortable all the time. This is important because it will liberate us to be who we authentically are even if this means sometimes we face discomfort. The resistance to discomfort is what keeps us slaves. It’s what holds us from expressing who we truly are. But being who you truly are is not necessarily smooth. The discomfort is what actually grows you into better versions of yourself. That’s why we will decrease the intensity of the resistance to discomfort or eradicate it completely. 1. Release stuck up sensations. Most of us wake up with anxiety. We accumulate all kinds of sensations over the night and day, from past experiences as well, and resisting these sensations is what’s controlling us. These sensations make us do things we don’t want to do just to escape them or compensate them for better sensations. If we just release these sensations we will start doing what we really like doing. So to release these sensations start each day by sitting alone with yourself, letting them surface, letting yourself experience these sensations, and let them go. When you stop resisting them, they will naturally surface and be gone. 2. Do something uncomfortable each day. Because we face discomfort daily we need to learn how to deal with it. 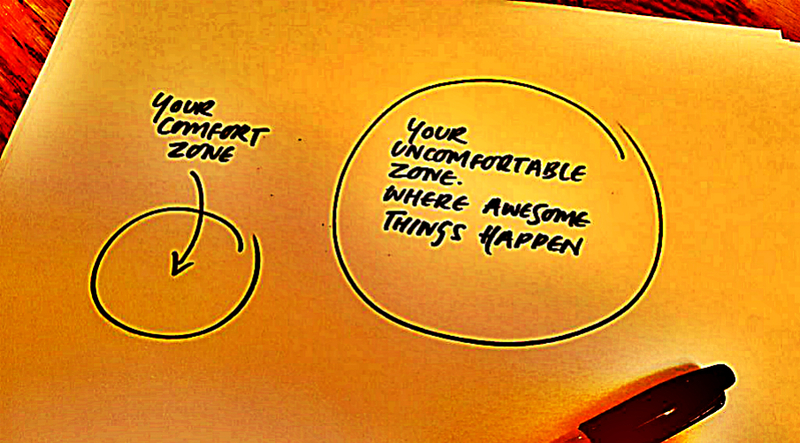 most of us avoid discomfort. But sometimes doing what we really like to do means we need to feel discomfort. So because we don’t know how to deal with discomfort, because we resist it, we trade what we truly like to do for not feeling discomfort. To stop this you need to challenge yourself into feeling something discomfortable each day. This might be intense exercises, cold shower, doing chores you don’t like doing, whatever is discomfortable for you. However, when you do these discomfortable things, try to embrace them. Try to let yourself experience them without resistance. This will train you how to tackle discomfort when it stands on the way of doing something you really like doing. 3. Let go of three major things that make you stuck. Take a piece of paper and think about the biggest things that are holding you back and make you feel stuck. Write them down and choose the three biggest things that make you feel stuck. Try to let them go one by one from your life and replace them with things that are positive for your life quality. It might feel discomfortable but let yourself embrace the discomfort because you know changing these things will make you much happier.